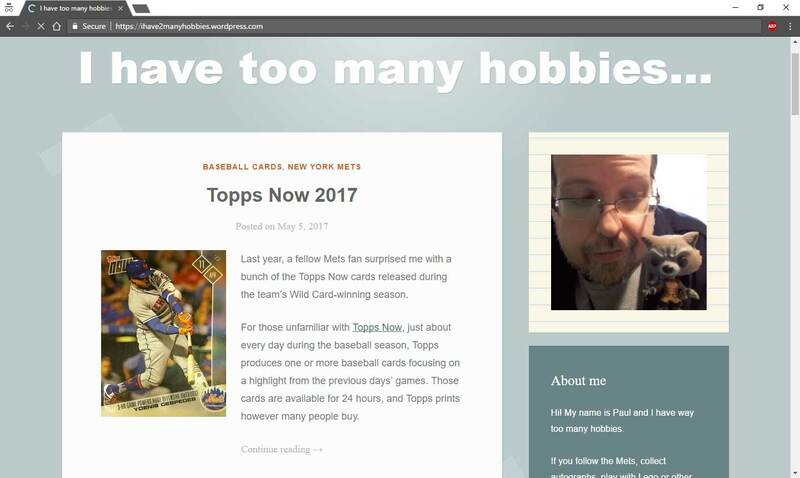 When I opened a box of 1989 Fleer last fall, people assumed I would pull duplicates from the box, discussing the different variations of the Billy Ripken card that might come out, etc. 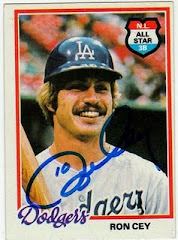 But I knew I wouldn't pull any duplicates because boxes of cards didn't operate like that in the '80s. 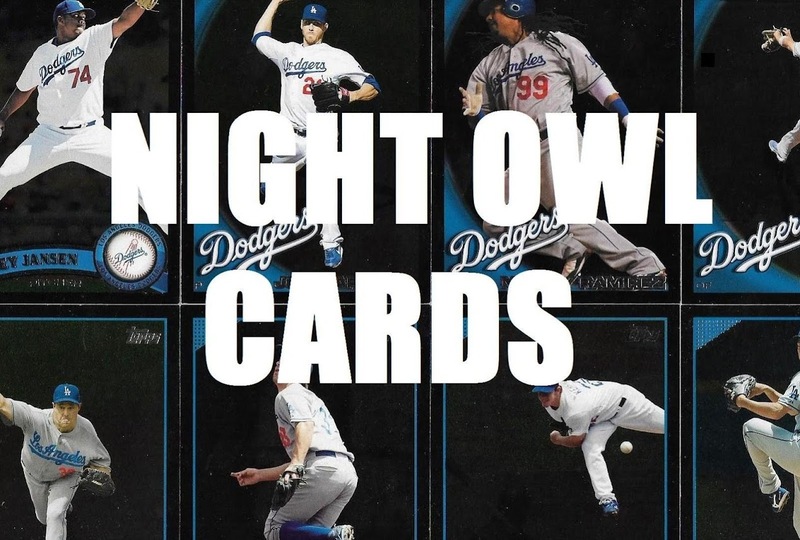 A few days ago I found myself watching a box break of 1992 Bowman, just because I still need some of the Dodgers from that set, and the duplicates that came out made me think of how much the '90s ruined collectors' ideas about collation. Not even four years after '89 Fleer produced no duplicates in 36 packs, box breaks were a disaster of pulling four Jeff Juden cards in a matter of minutes. I don't really do box breaks anymore, mostly because of the price but also because there's no chance of getting close to a complete set. Even 7 or 8 years ago when I was opening boxes of Allen & Ginter, which actually didn't yield any duplicates, I'd still finish and think to myself, "I've still got a third of the set to go!" No, the pay out often isn't worth it if you're not going to get a complete set, or at least near one. That's why I enjoyed opening the above little box so much. 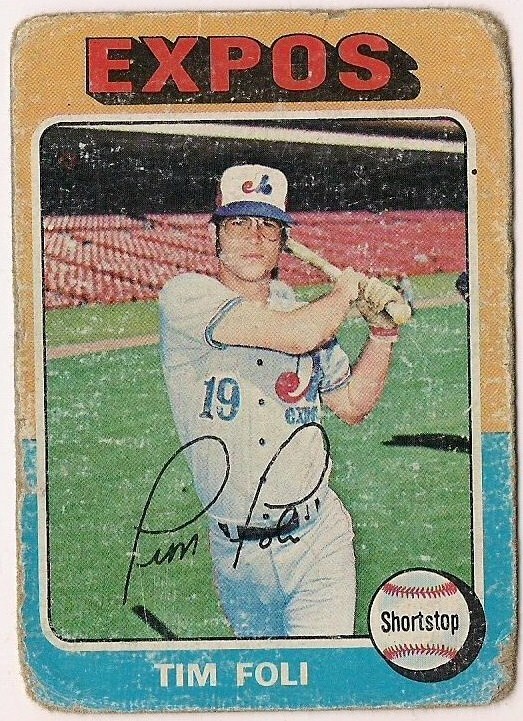 It was sent to me by reader Alan as kind of a throw-in contained inside an enormous box of items that you'll see some day soon (it's taking me forever to get it scanned). 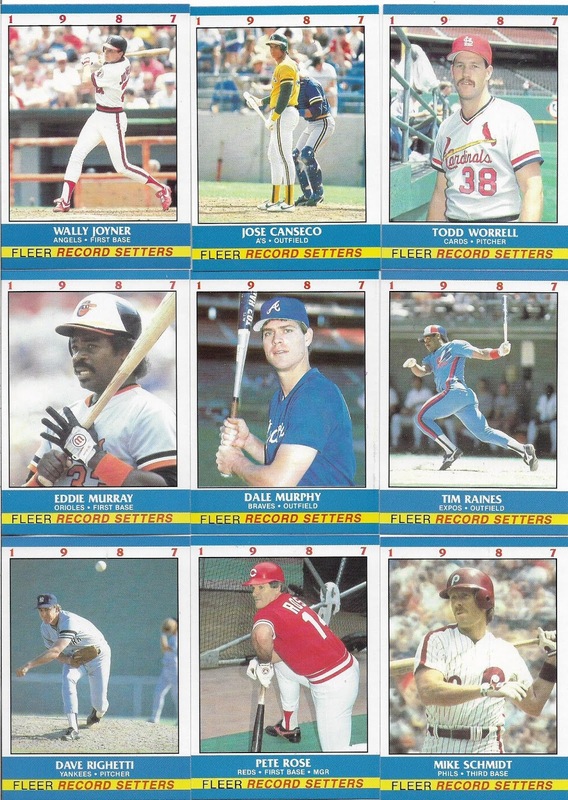 I've never opened one of these 1980s Fleer boxed sets, although I've seen plenty of the cards in my time. Alan sent three different Fleer boxes. 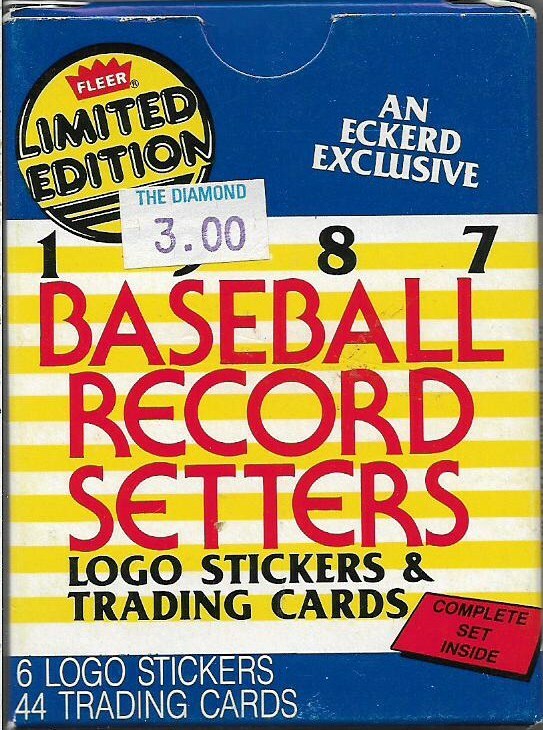 I decided to feature this one because I like the 1987 Record Setters design. 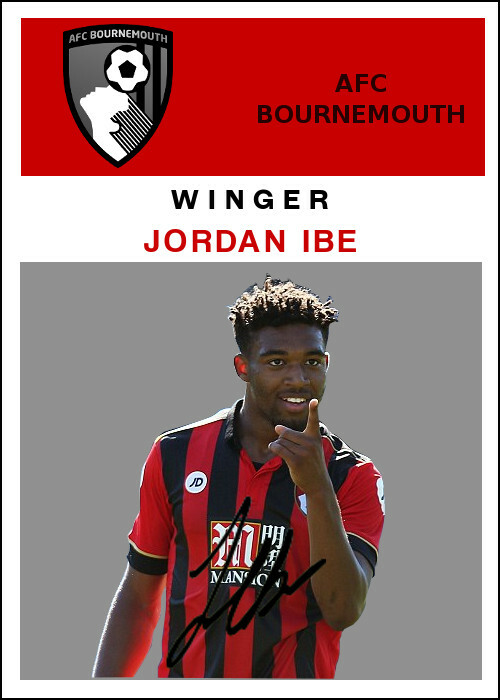 It's simple and does well showcasing the player. As you can see on the box, it's an "Eckerd exclusive." Yes, I remember Eckerd's. I've purchased cards at Eckerd's. 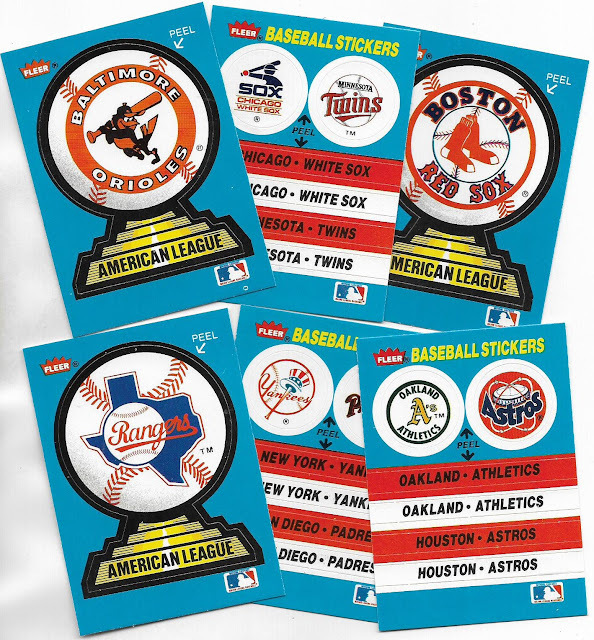 It's distressing how many places that sold cards have disappeared, while a whole mess of places that don't sell cards still exist. But anyway, this box contains six logo stickers and 44 trading cards. 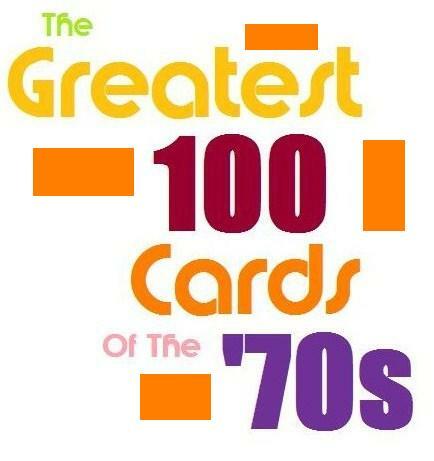 There are only 44 trading cards in the set. Hot dog! What more could you ask? OK, we'll start with the six stickers. Quite a random assortment. I have so many of these Fleer things, I need to find some place suitable for sticking. Those are the first nine cards out of the box. It's interesting how they come out of the box. They aren't in alphabetical order or ordered by number on the back (The set actually is numbered according to alphabetical order of the player). I'm already enjoying all the different looks of familiar players. 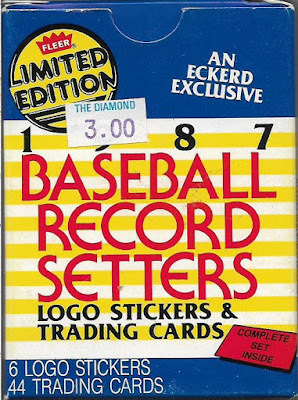 The set recognizes "baseball's record setters," but there's nothing on the back stating what record the player has set. 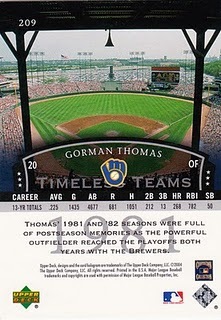 It simply shows the player's career stats, which can be found on the regular Fleer cards, too. 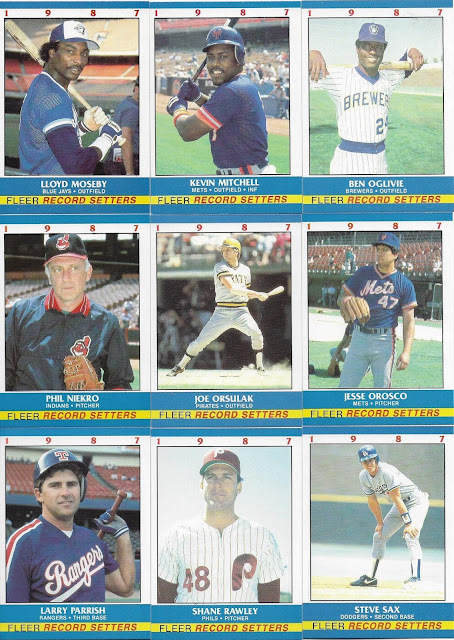 To me, a 44-card set is a perfect sampling of major league players of the day. It's kind of like the Kellogg's sets of the 1970s. Kellogg's capped its sets at under 60 cards, but that didn't prevent it from putting players like Bill Almon or Jeff Burroughs in the set. 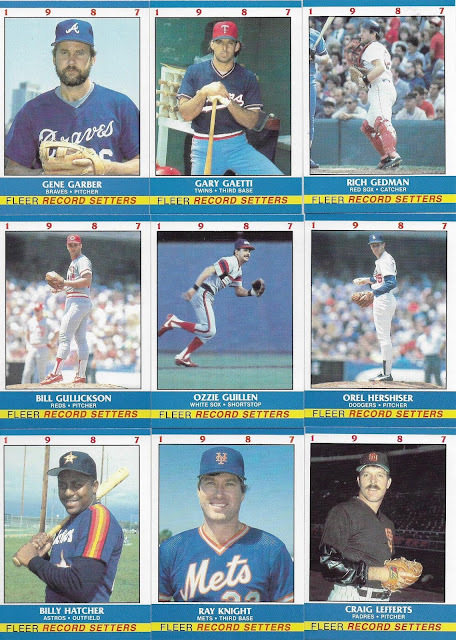 And that's how it should be -- I see enough of Wade Boggs and Tony Gwynn, give me a Bill Gullickson card! 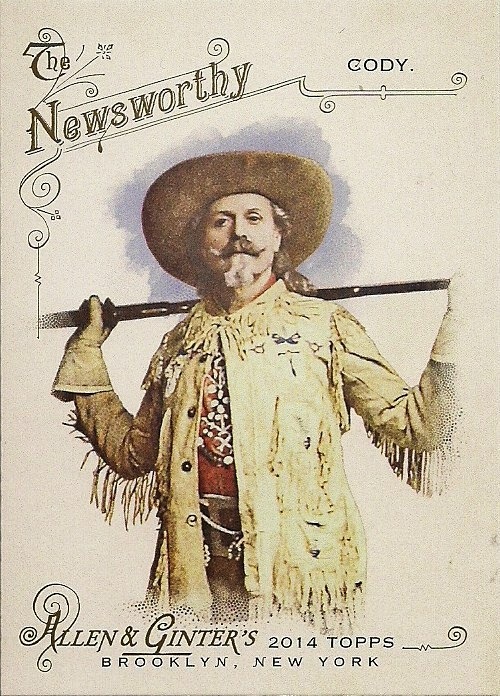 A Gene Garber card! Everything you need here -- Fleer's wacky poses, strange cropping and the very good players of the day. However, I do love how Fleer zoomed out on some of these images, such as on Joe Orsulak and Ozzie Guillen. And, just like that the box break is finished and the set is COMPLETE. You can't beat that. Sure, it's a tiny, tiny box break, but when you're done, there is still the satisfaction of completing a set. And that is my kind of box break. Had this set as a kid....AWESOME! That set was one of the better box sets around in those days. 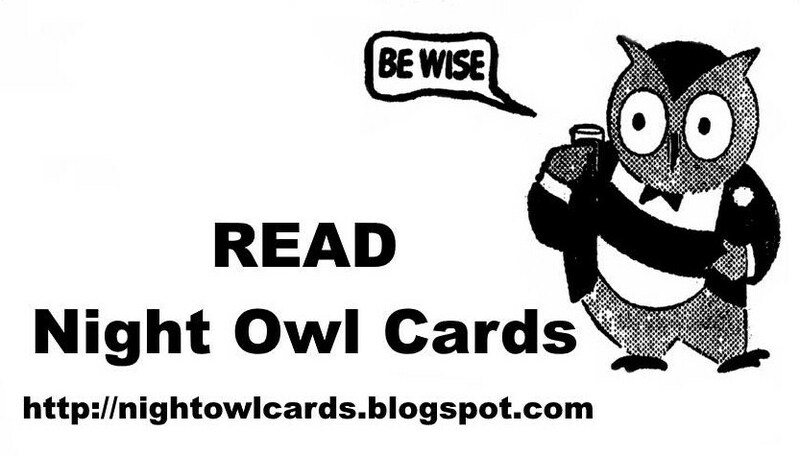 I really liked that Murray card, among others. 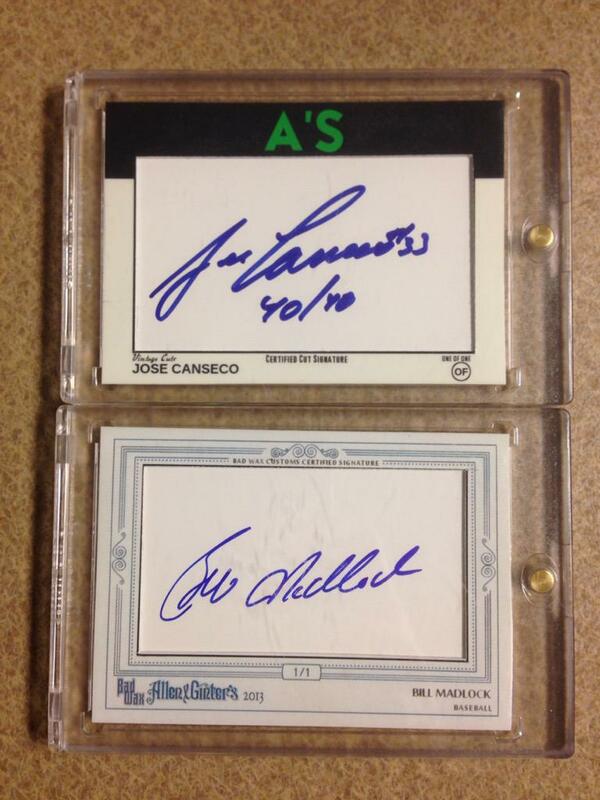 Nice looking cards with a lot of star power. The poses don't seem wacky to me. They don't tell the records broken - crazy. Fun random set. I enjoy seeing these guys on wax I've never seen before. Good stuff. Excellant box break,maybe your next one could be 1987 Toys R Us. 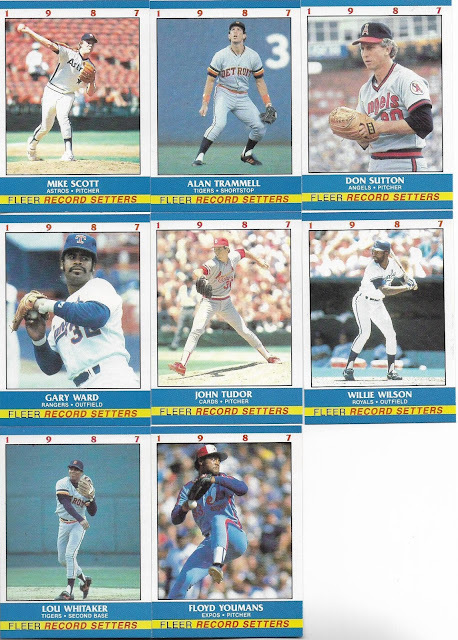 Although I would have liked to see Gwynn in this set... I totally agree that it's nice to see guys like Garber, Fernandez, and Oglivie in this set. And those zoomed out photos are awesome! I picked up the Rich Gedman card recently, and had to look up the record he set. When Clemens struck out 20 batters, by default Gedman set the record of putouts by a catcher! 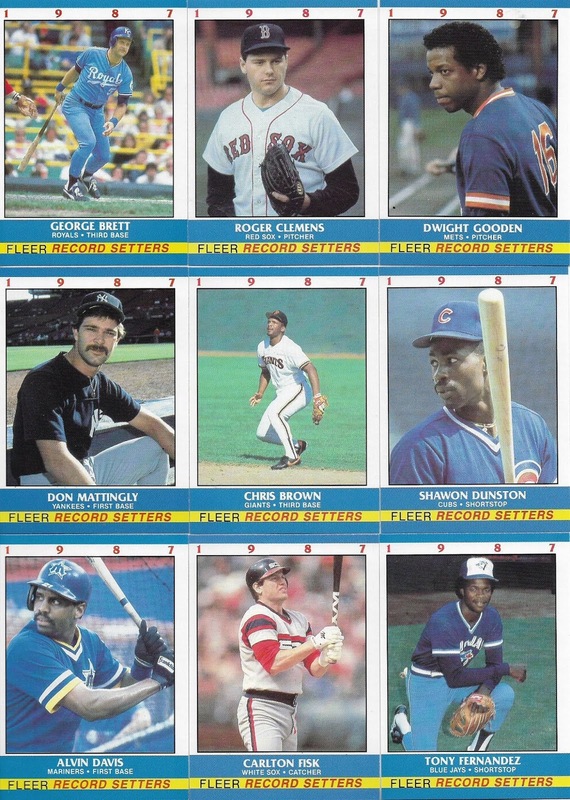 Yeah, that was thing back in the late 80's Fleer sets, same old players. I still have tons of this stuff laying around back home. When you get an itch to open some lmk. I bought this set in 1987. It was one of the first complete sets I ever bought. 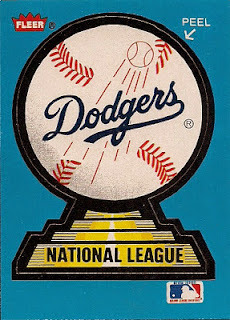 Looks a little bit like a modified 1984 Fleer design, doesn't it? I enjoy these types of sets from the 1980s, for sure. Just finished "building" a Kay Bee set from a few trades. This set is in my 80s binder. 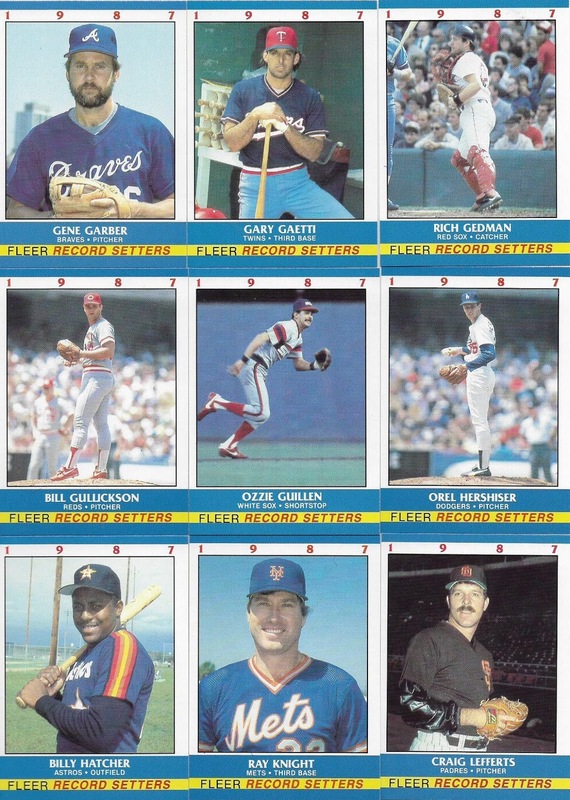 I like the player assortment with the Gaetti being my fave card here. I love love love the stickers!